The recognition rate of those trained in Europe equals 100%. In case of the non-European countries of training, the success rate is a bit lower. For example, every seventh application form Syria and Egypt is not granted full equivalence. Nearly twice as many applicants form Serbia or Iran receive no full equivalence. 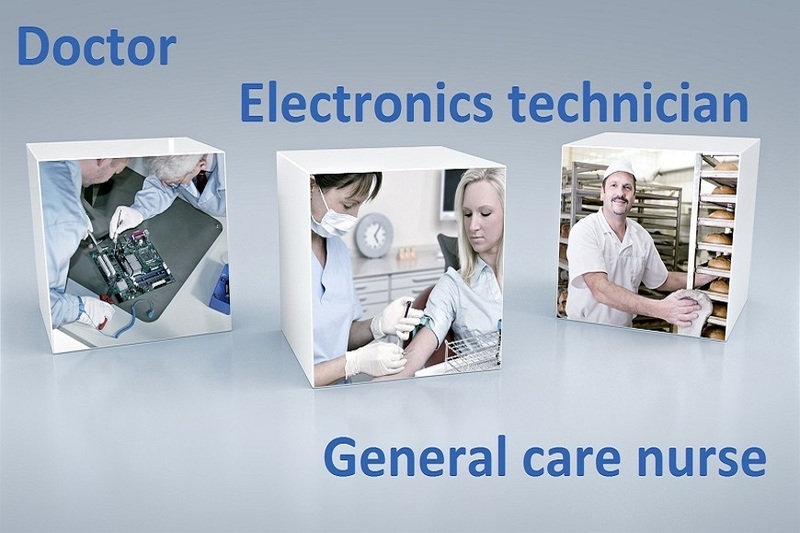 The general care nurses who are in high demand now come mostly from the European countries. The majority of applications processed was submitted by those trained in Romania, Spain, Bosnia and Herzegovina as well as Poland. Among the non-European countries, the most applications were filed by applicants from Philippines. A significant share of applicants wishing to work as general care nurses receive only partial equivalence and, thus, need to complete an adjustment qualification program in order to obtain full equivalence. While the success rate of applications filed from the European Union, with an exception of Italy, stands at over 90%, the applications from candidate countries Bosnia and Herzegovina and Serbia and are granted full equivalence in less than 50% of the cases. This applies also to Philippines and the Russian Federation. Among the non-regulated professions, the profession of electronics technician is the most frequent profession for recognition. The applications are mostly submitted by applicants trained in the EU candidate countries Serbia and Bosnia and Herzegovina. Among the EU countries the majority of applications are filed from Poland. Among the most important countries of training, only Serbia has the success rate of over 90%. The success rate of applications from Bosnia and Herzegovina as well as from Turkey stands at 67%, followed by Poland with the success rate of 60%. The most important countries of origin of applicants in the profession motor vehicle mechatronics technician are the same as of applicants in the profession electronics technician. In case of the motor vehicle mechatronics technicians, however, the majority of applicants were trained in Poland, Turkey, Romania or Bosnia and Herzegovina. Motor vehicle mechatronics technicians recieve less often full equivalence as electronics technicians. Only a bit more than every second applicant from Poland is granted full equivalence. In case of Romania only every forth.